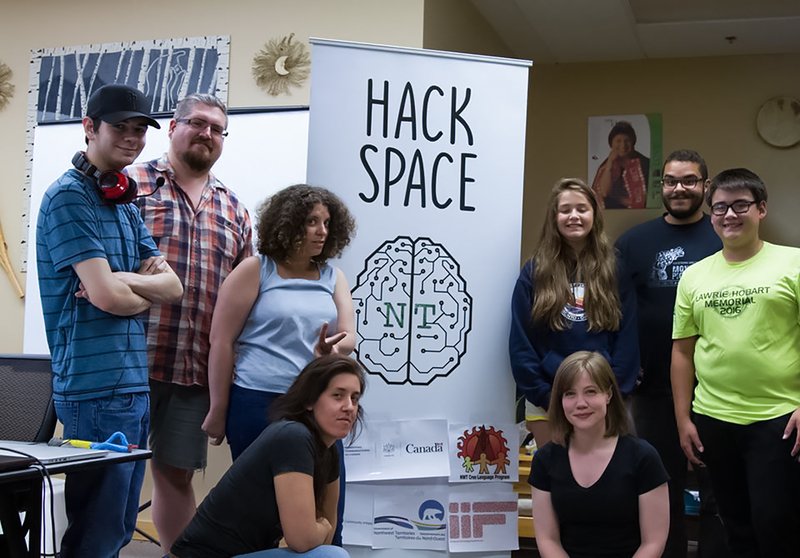 Western Arctic Moving Pictures (WAMP), with the support of the NWT arts council and The Yellowknife Community Foundation, put on a summer video game workshop focused on indigenous youth. The curriculum was developed by facilitator Meagan Byrne and supplemented by the Initiative for Indigenous Futures “Skins” program and WAMP’s Hackspace program and will be used as educational resources for future programming. The workshop was joined by indigenous researcher Gabrielle Hughes whose research relates to indigenous expression in digital forms such as video games. Gabrielle presented her research into video games as they relate to indigenous culture and people.